While there isn’t much to glean from that excerpt, the picture is a bit more telling. The double scroll work on the nib clues us into the fact that this is designed off of the M1000 chassis. 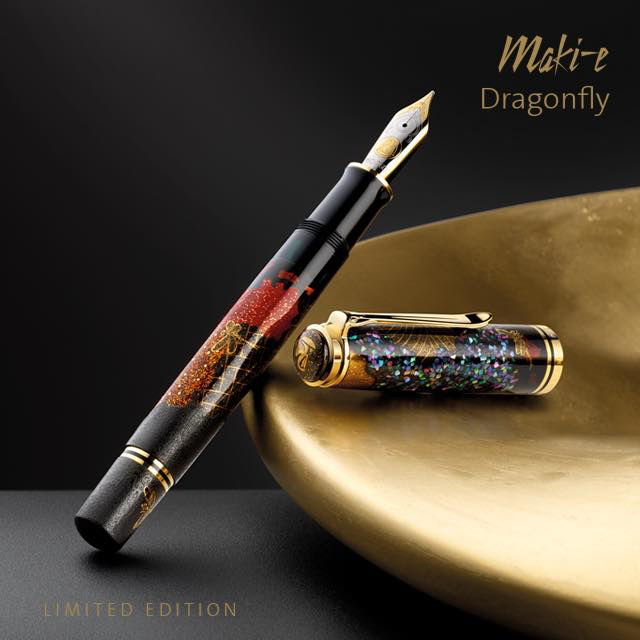 The traditional Make-e painting depicts a dragonfly amongst a colorful background which stands out nicely against what appears to be a black pen. This will be a limited edition release and while an exact production number is not yet known, I’d anticipate somewhere in the neighborhood of well fewer than 200 being made. The artistry involved and the limited number produced will certainly result in these commanding a very high price at retail. Prior models have sold in the range of $3000 to $3500. Since this pen is based on the M1000 chassis, there will be a crown cap top featuring the Pelikan logo along with the traditional beak clip and the standard gold-plated trim of the modern Souverän. The furniture includes two trim rings at the piston knob, two cap bands, and a single trim ring at the section. There is what appears to be a dark green ink window behind the section and the nib will be the standard two toned 18C-750 gold. 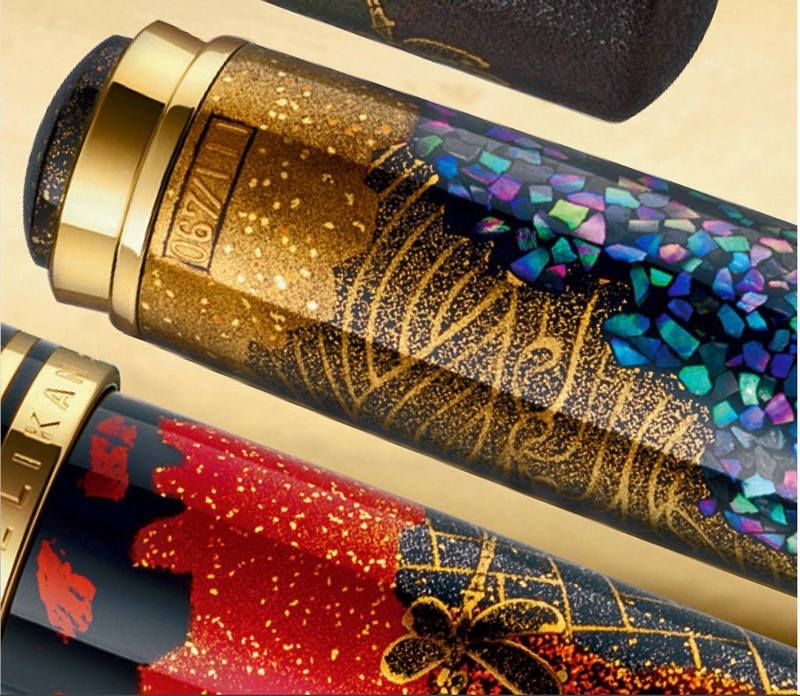 Each pen will have a limited edition number and the artist’s signature hand drawn using Maki-e. Based on past limited editions, I would expect that this pen will come in a box made of paulownia wood. Further information is not yet available about this model but I anticipate that we will learn more in the coming week(s). Pelikan just gives us a glimpse of the pen with this product shot and while I’ll likely never own one of these, I can’t wait to see a few more photos in order to ascertain whether or not the Dragonfly lives up to the promise of some of Pelikan’s other Maki-e releases. UPDATE 9/23/17: It looks like only 111 of these gorgeous pens have been made which is consistent with past Maki-e releases. The US MSRP will be $5400. These are beautiful but likely out of the price range of most enthusiast. I want this pen for Christmas!! By the way, Pelikan Hub is this Friday. Hope to see a Maki-e come to the gathering. Are you the HUB Master? My wife thinks that I get myself gifts all too regularly. She would not appreciate a Maki-e making its way into this house. I am hub master for Philadelphia for the 3rd consecutive year but this may be my last year of doing it. Time to pass the torch I think.